Compare hotels in England (UK), find the best deal and save money up to 50%. England (UK) power plug : do I need a travel adapter? If you go to United Kingdom, you'll need a travel adapter because they are the only country to use type G electric plugs! 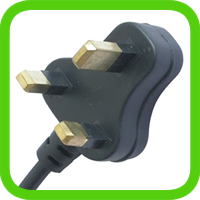 Whether you go to England, Scotland, Wales, Northern Ireland, you'll find these type of plugs. But don't worry, lots of shops sell plug adapters so it's really easy to find one. Note that some hotels provides universal plugs. To know if you need a travel plug adapter to go to England (UK), you have to consider 3 things : the shape of the plugs, the voltage and the frequency of the current delivered by electrical outlets in England (UK).